One of my students love cars, absolutely loves them and can memorize anything having to do with mechanics. 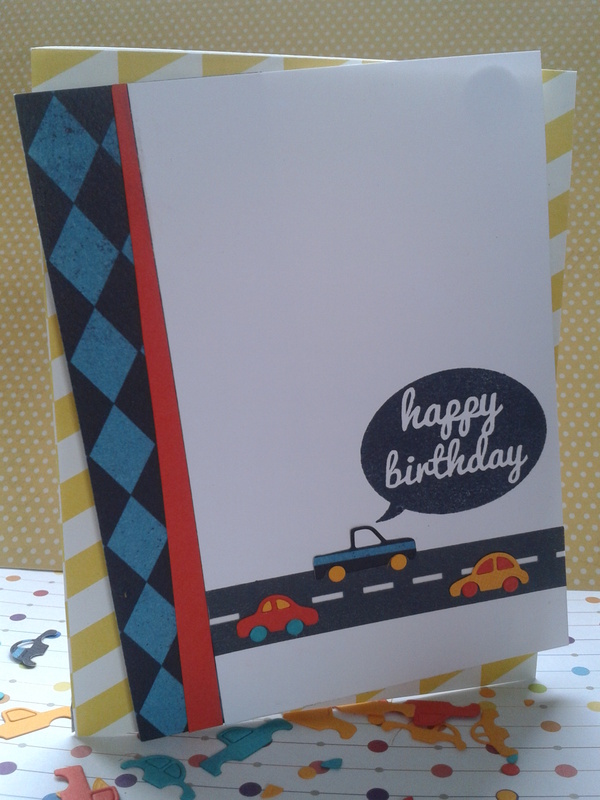 Since his birthday is tomorrow, and I wanted to play around with some paper placement ideas, I put this fun little card together. 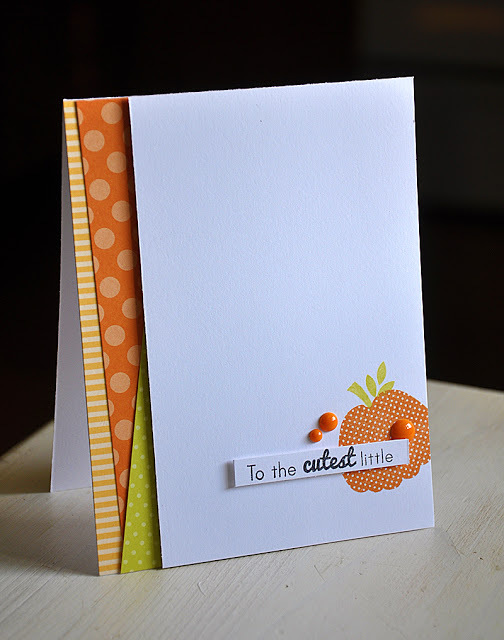 where they are keeping it clean and simple, so this card is headed their way! 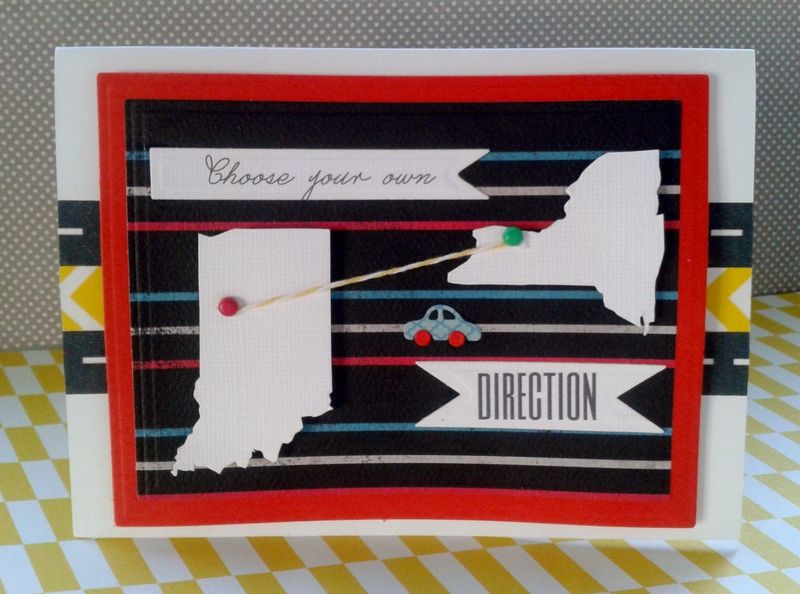 No excuse needed to pull out Memory Box’s Auto Parts dies! 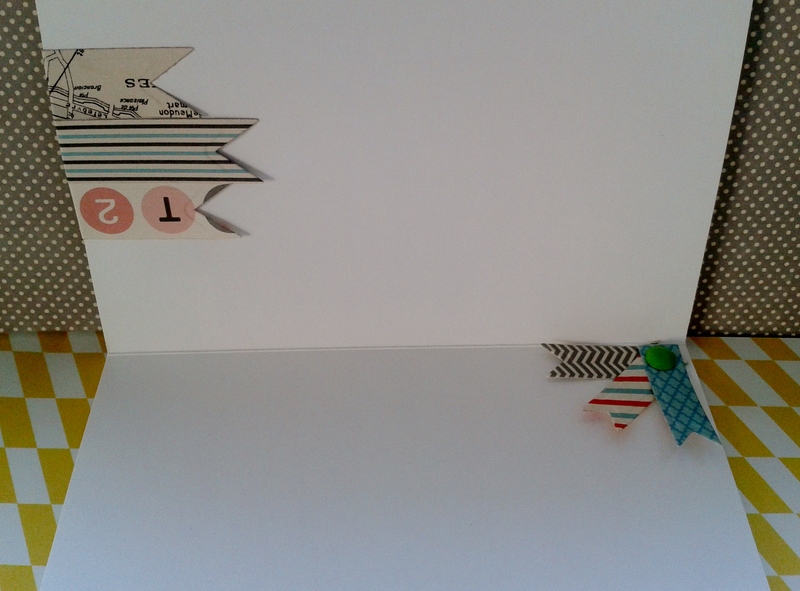 I went a bit crazy putting them through the big shot– but what great confetti! 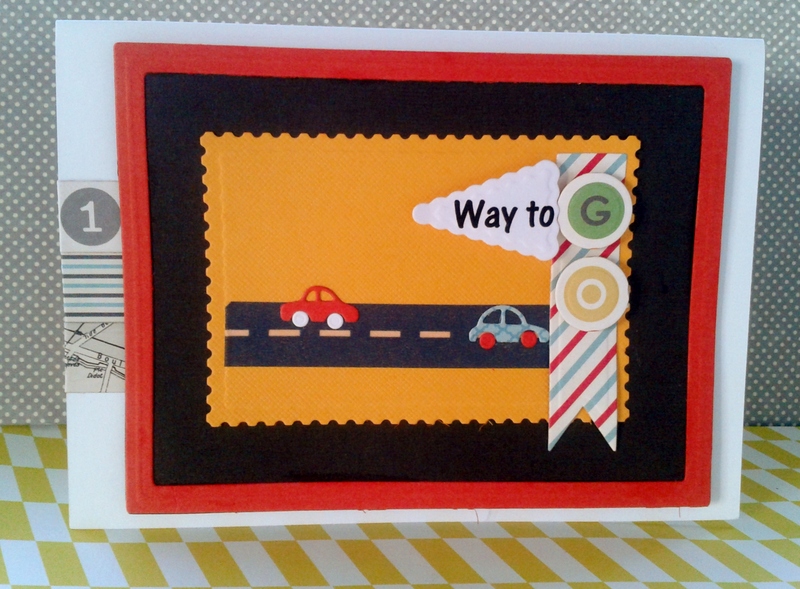 They would make an awesome table decoration scattered under cupcakes for car-themed birthday party! 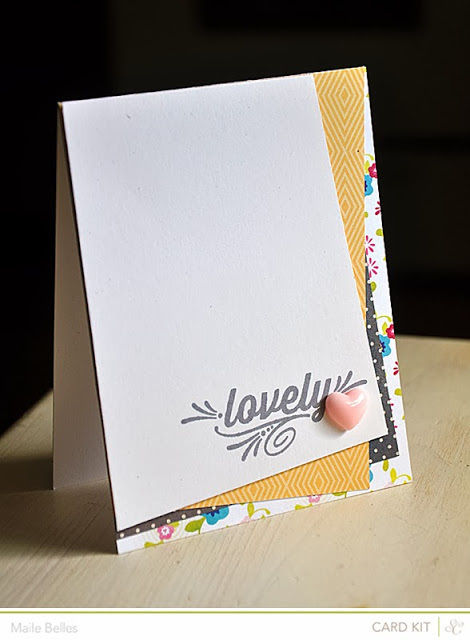 You may recognize the stamp–I hadn’t broken out my Fresh Squeezed Stamps “Trendy” set (cannot wait to experiment with the sequin stamp that is part of the set! 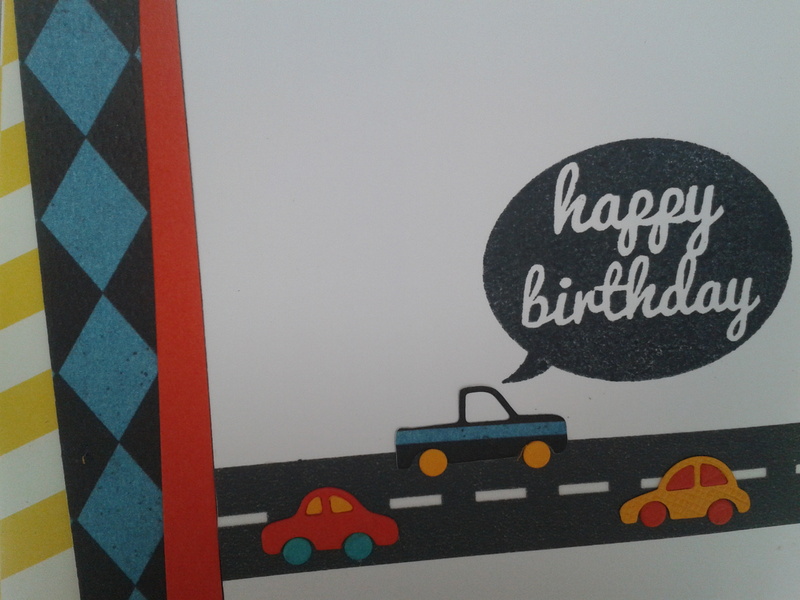 ), and this happy birthday bubble felt completely right for the card. I wanted very clean and was challenging myself to leave a lot of white space. 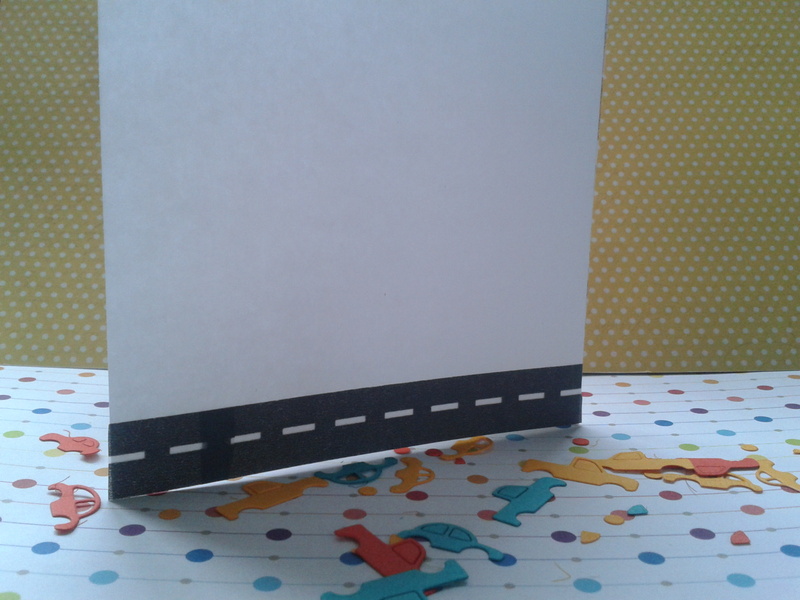 Initially, I had a fussy cut banner hanging across the top, but it did not feel right at all. So off it came and on went the stamp, and voila, CAS! 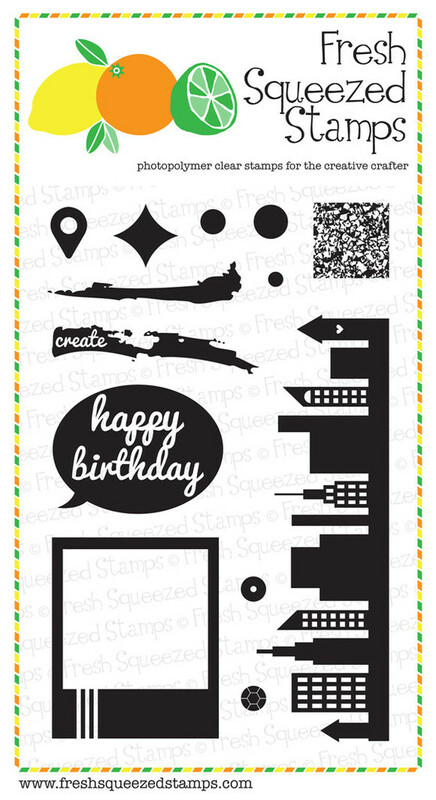 My papers here are a combination of cut scraps from the bin at Impress Stamps, so I am not sure of the collection. 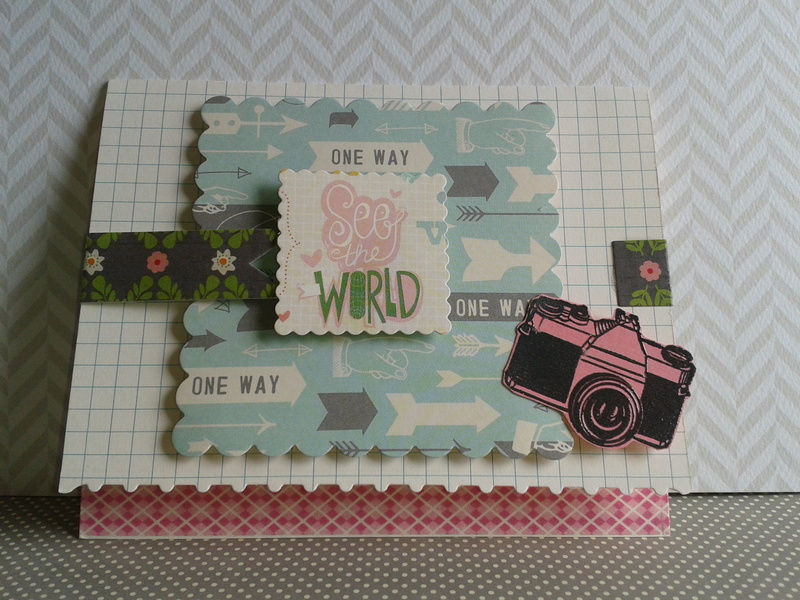 To shake it up a little, I played with paper placement, totally inspired by the work of Maile Belles over at Simply Stamped. 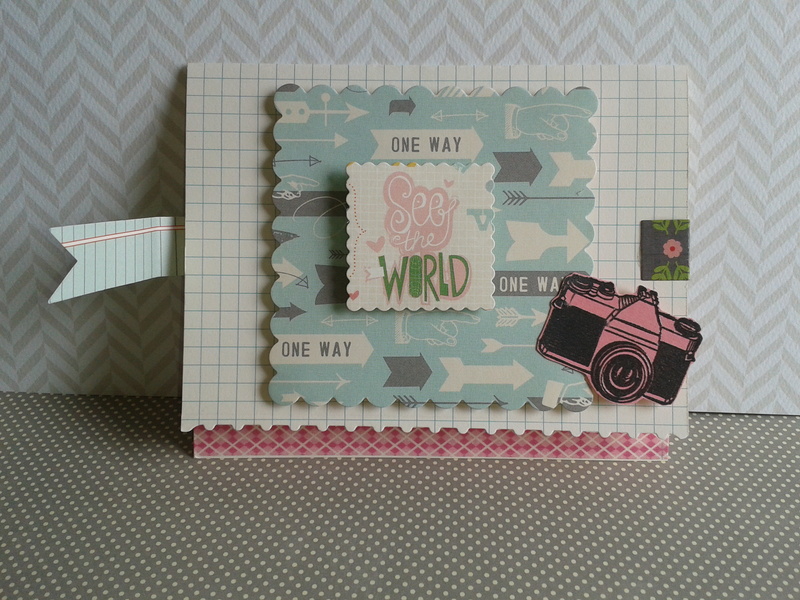 Oh, how I love what she has created with her combination of papers and angles! 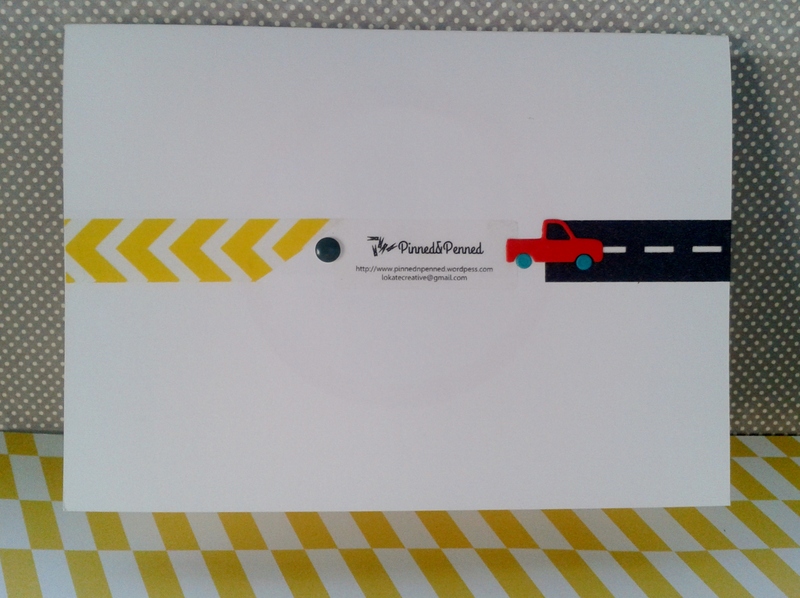 Is her work gorgeous or what? 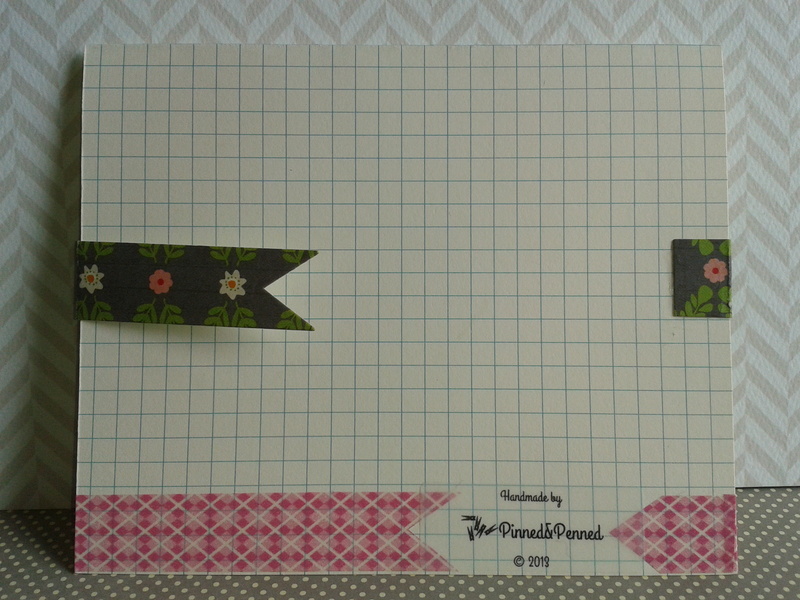 Can’t get enough of that washi tape!! 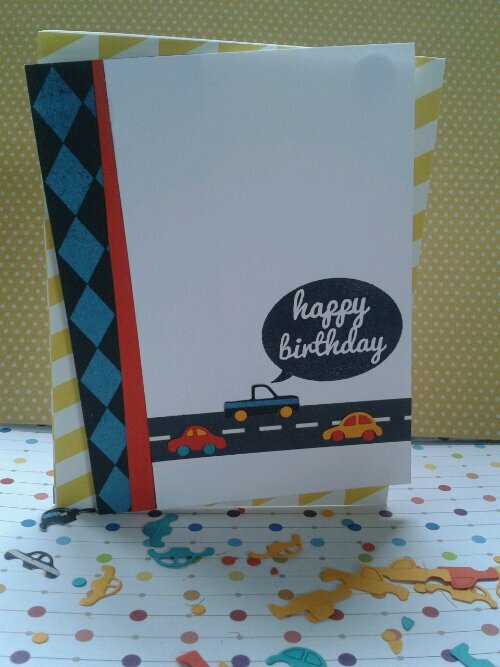 You can see my other car cards here and here! 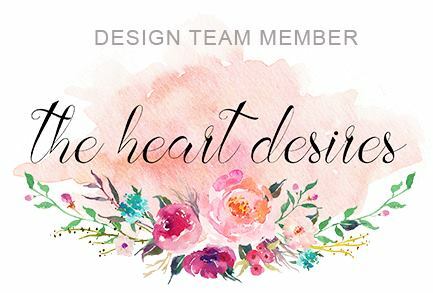 So get in the fast lane and start creating! Summertime is travel time! 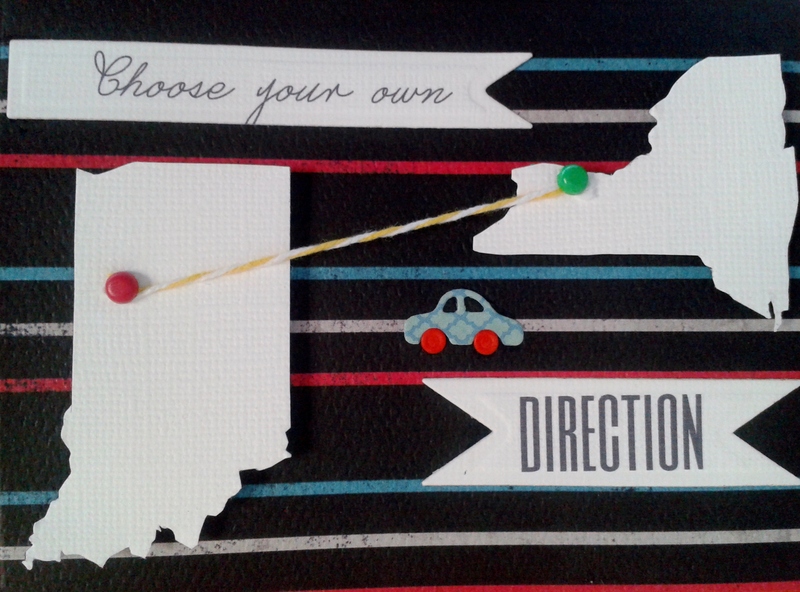 Where will you roam? How will you see the world? 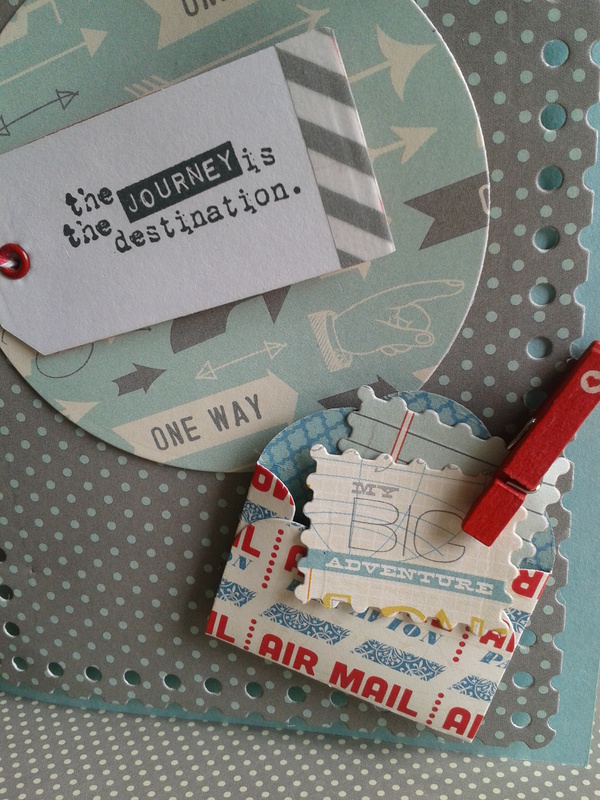 I am loving the new travel theme trending in the paper crafting world right now. 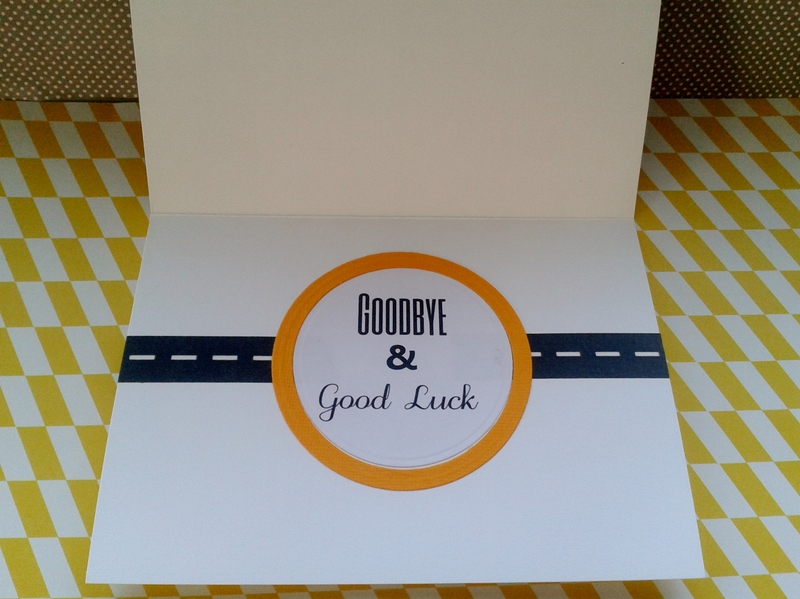 The recent challenge for transportation theme cards at Simon Says Stamp, along with June graduations and my brother’s recent relocation, found me inspired to run with it! 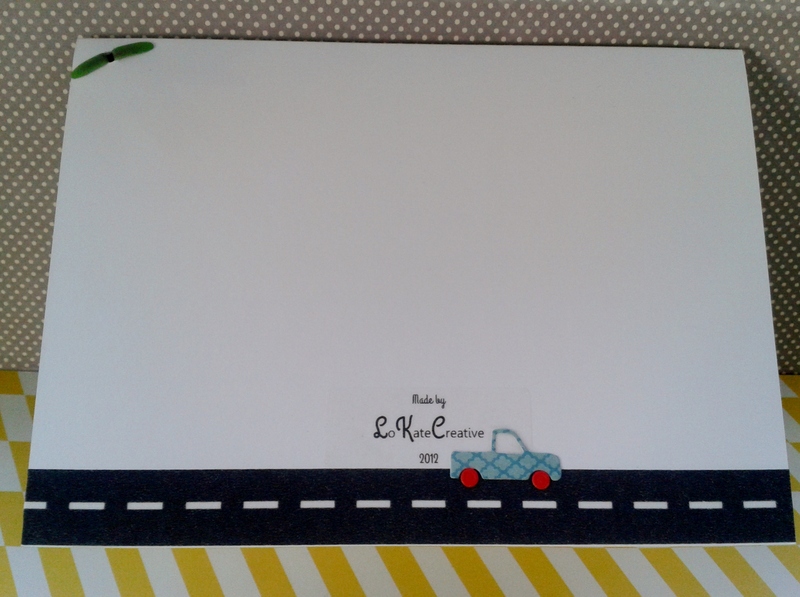 The October Afternoon “Travel Girl” papers, my Spellbinders Fancy Postage Stamp, Memory Box Auto Parts, and Savvy envelope dies, and that fantastic washi tape helped fuel my imagination as well! And off we go!